You’re heading to the store to get a PlayStation 4 right now, and need to know which games to get. (Keep your eyes on the road, please!) Or maybe you’re home, all set up, realizing you want more stuff to play. We’re here to help. These days, there are more good PS4 games than ever, with new contenders arriving all the time. 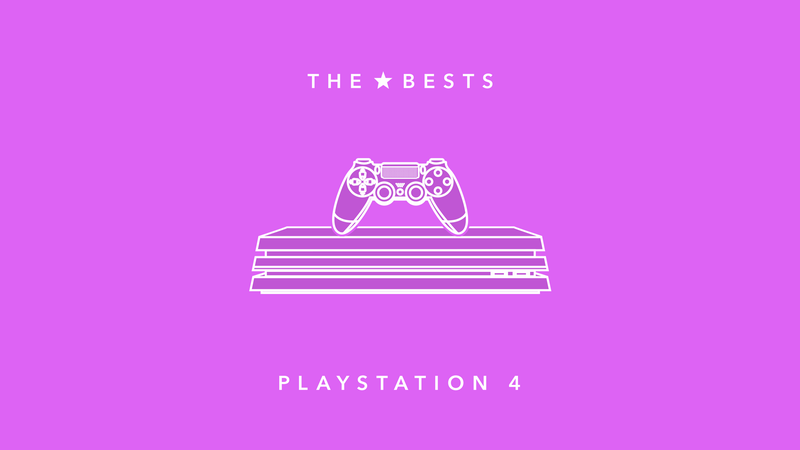 Below, find a list of the games we recommend for Sony’s machine. At a cursory glance, Horizon Zero Dawn may seem overly familiar. It’s got Uncharted platforming, a Far Cry open world with stealth and crafting, Tomb Raider third-person bow fights and Monster Hunter-style battles against massive robot dinosaurs. Wait a minute, did we say overly familiar? Because that sounds great. Horizon actually manages to simmer those promising raw ingredients into something that works even better than we’d hoped. It’s got a steady stream of exhilarating gameplay and awe-inspiring sights all wrapped up in a surprisingly engrossing and satisfying story. As a bonus, it’s one of the most most technically advanced, gorgeous games you can play on a PS4. A Good Match For: Fans of the games mentioned in the description above, anyone who’s ever wanted to go toe-to-toe with a robot velociraptor. Not A Good Match For: Those looking for an easy time. Horizon is a bracingly difficult game, and you’ll have to play smart and aggressively to make it through alive. From tip to tail, Red Dead Redemption 2 is a profound, glorious downer. It is the rare blockbuster video game that seeks to move players not through empowering gameplay and jubilant heroics, but by relentlessly forcing them to confront decay and despair. It has no heroes, only flawed men and women fighting viciously to survive in a world that seems destined to destroy them. It is both an exhilarating glimpse into the future of entertainment and a stubborn torch bearer for an old-fashioned kind of video game design. It is a lot, and also, it is a whole, whole lot. A Good Match For: Cowboys, open-world connoisseurs, history buffs, lapsed game-playing persons lured by a game whose atmosphere strikingly mimics many masterpieces of film and literature. Not A Good Match For: Those averse to open worlds, because this sure is the open-worldest of all possible open worlds. Also, Sonic the Hedgehog fans need not apply (your cowpoke’s walking speed is the exact opposite of going fast). Nier: Automata will probably surprise you. It starts out as a fast-moving action game in the vein of Bayonetta or Devil May Cry, telling a story about hot robots exploring a ravaged future earth. And until the first time the credits roll, that’s what it remains. Keep playing, though, and Nier will begin to open up and transform. It shifts viewpoints and twists inside of itself, eventually unfolding in a spiral of revelations that crescendoes all the way to the grand finale(s). Yes, you must “finish” Nier: Automata five times to get the complete story. But like the rest of this fantastic game, that doesn’t mean what you think it means. A Good Match For: Fans of narrative mindfucks like the first Nier or the Metal Gear Solid games; people looking for something ambitious and unapologetically weird. Not A Good Match For: People who like their game stories straightforward, anyone who doesn’t like beat-em-ups or shoot-em-ups. What if there was a soap opera that made you cry, but also let you play classic Sega games? The Yakuza series is a unique mixture of melodrama and comedy, packed with compelling characters and criminal intrigue. It’s also a series where you can hire a chicken as your real estate manager and manage a cabaret club. Yakuza 0 is the perfect entry point into the series, spinning a tale of two criminals wrapped up in intersecting plots. The story twists and turns, while the open world provides colorful sidequests and distractions. It starts slow, but if you stick with it, you’ll find one of the most sincere games on the PlayStation 4, emotionally packed and surprisingly funny. A Good Match For: Tattoo enthusiasts, anyone who loves a good plot twist, folks interested in great localizations, mini-game lovers, and anyone looking to experience a rich story. Not A Good Match For: Anyone who absolutely hates cutscenes, that one guy who says “this would be better with English voice actors,” and players looking for a shorter narrative experience. If you think Tetris can’t get any better, then you haven’t played Tetris Effect. Born from the minds behind Rez and Lumines, its trippy journey through wonderfully crafted synesthetic experiences is only amplified by the optional PlayStation VR mode. Tetris Effect’s Journey Mode takes you through 27 sublime levels that also introduce new and very welcome changes to the 35-year-old series. The game also has more traditional modes that let you compete for top spots on the leaderboards and unlock fancy avatars. It’s video game meditation and there’s really nothing else like it. A Good Match For: OG Tetris fans who miss the series and newcomers who are curious about learning the intricacies of a nearly perfect game design that feels brand new again; PSVR owners. Not A Good Match For: People who can’t get into puzzle games; players who prefer competitive multiplayer modes; anyone who hates electronic music. If we had to sum up Bloodborne in a single phrase, it would probably be “There’s blood everywhere.” The newest game from Dark Souls maestro Hidetaka Miyazaki and his team at From Software, Bloodborne represents both a careful iteration of the Souls formula and a significant departure from it. The games’ fundamental structure and signature difficulty remains, but everything has been intensified, with knife-cuts and quicksilver bullets flying faster than your eye can track. Bloodborne is a gore-soaked masterpiece. A Good Match For: Fans of From’s other games like Demon’s Souls and Dark Souls, people who like tough games, H.P. Lovecraft buffs. Not a Good Match For: Anyone who gets easily frustrated by difficult games, people looking for a more traditional RPG with a more traditional story. What if you could do relive high school but do it way, way better? That’s the promise of Persona 5, and Atlus’s killer social sim + dungeon crawler more than delivers. You’re a high school student spending a year at a new school in Tokyo, but you’re anything but ordinary. You and your motley crew of friends have the ability to infiltrate the subconscious “palaces” of the various villains and tormentors who challenge you in the real world, changing their hearts and bringing them to justice. As the days tick by, you’ll spend your afternoons deciding whether to go shopping, hang out with your friends, or head into a dungeon to slay some demons. The more you play, the more the cast expands, the story unfolds, and the mystery deepens. What’s really going on? Where do these mystical powers come from? How’s it all gonna end? And will you finally be able to get Makoto to go out with you? A Good Match For: Fans of previous Persona games, along with anyone who likes stylish art and killer music. Persona 5 is overflowing with both. Not A Good Match For: People who hate turn-based JRPG combat, people who don’t like games with a lot of text to read, anyone looking for a game they can finish in a single weekend. God of War is every bit the prestige, mega-budget action game it sets out to be. It’s got uncommonly satisfying combat, gorgeous music and art direction, and gives players hours and hours of fun stuff to do. Like past God of War games, it mixes joyously violent melee fighting with clever environmental puzzle solving. Like past God of War games, it takes players on a Cliff’s Notes tour of an ancient religion, with Norse mythology taking over this time for the Greek pantheon of its predecessors. Unlike past God of War games, however, it takes greater care with its story, revitalizing and to an extent rehabilitating its long-in-the-tooth anti-hero Kratos by focusing on his relationship with his young son Atreus. Their story is full of shocking twists and massive set-pieces, but some of its best moments feature the heroes quietly rowing a boat down a river, regaling one another with stories of ages past. God of War is an unusually thoughtful blockbuster, an epic that manages to be quietly reflective and wildly entertaining at the same time. A Good Match For: Fans of Norse Mythology, people who like intense action, anyone looking for something that’ll really show off how good a PS4 game can look. Not A Good Match For: Those uncomfortable with on-screen violence. God of War’s mayhem doesn’t feel as gratuitous as past games in the series, but there’s still some extremely brutal stuff. Update 2/11/2019: We’ve added Tetris Effect, Yakuza 0, and Red Dead Redemption 2 while removing Rocket League, Marvel’s Spider-Man, and Assassin’s Creed Odyssey. Update 11/14/2018: We’ve added Marvel’s Spider-Man and Assassin’s Creed Odyssey while taking off Fortnite and XCOM 2. Update 5/3/2018: We’ve added God of War and Fortnite Battle Royale while removing The Last of Us Remastered and Hitman. Update 3/9/2018: We’ve added Monster Hunter: World and XCOM 2 while removing Inside and Resident Evil 7. Update 6/2/2017: We’ve removed Uncharted 4 to make room for Nier: Automata. Update 4/19/2017: We’ve added Persona 5 and removed Destiny, which Bungie has been winding down in preparation for a sequel. Update 3/8/2017: After much debate we’ve added Resident Evil 7 and Horizon Zero Dawn, while removing Diablo 3 and Grand Theft Auto V. These cuts are getting harder and harder, people. Update 12/09/2016: We’ve added Hitman to the list and retired Metal Gear Solid V.
Update 9/23/2016: Inside makes its way onto the list, while Until Dawn departs. Update 7/27/2016: Overwatch joins the list; Assassin’s Creed Syndicate comes off. Update 5/26/2016: Welcome, Nathan Drake. Goodbye, Batman. We’ve replaced Arkham Knight with Uncharted 4 this time around. Update 2/11/2016: The Witness makes it in, and Fallout 4 heads out. Also, we’ve added a video version of this post up top! Update 11/26/2015: Fallout 4 and Assassin’s Creed Syndicate hop onto the list, knocking off Final Fantasy XIV and Assassin’s Creed IV. Update 9/18/2015: The list gets another update: The Binding of Isaac, Transistor, and Dragon Age: Inquisition clear out to make room for Rocket League, Until Dawn, and Metal Gear Solid V: The Phantom Pain. Update 04/07/2015: Bloodborne slices its way onto the list while Pixeljunk Shooter Ultimate says goodbye. Update 11/25/2014: The fall has arrived, and with it a bunch of great games. Dragon Age: Inquisition, GTA V, PixelJunk Shooter Ultimate and The Binding of Isaac: Rebirth edge out Resogun, The LEGO Movie Videogame, Don’t Starve and TowerFall Ascension. Update 10/21/2014: We’ve added Destiny and Middle-earth: Shadow of Mordor to the list, and removed Infamous: Second Son and Need for Speed: Rivals to make room. Update 8/28/2014: Two games enter, two games leave. Outlast and Tomb Raider: Definitive Edition make way for Diablo III: Ultimate Evil Edition and The Last of Us: Remastered. Update 6/18/2014: Change is in the air, as Metal Gear Solid V: Ground Zeroes, Fez, and Injustice: Gods Among Us clear out to make room for Wolfenstein: The New Order, Final Fantasy XIV: A Realm Reborn, and Transistor. Update 4/14/2014: Our PS4 list has hit its 12-game ceiling, and we’ve added (and removed) more games than in any other single update so far. Rayman: Legends, LEGO Marvel Superheroes, Doki Doki Universe and Strider all clear out to make room for Infamous: Second Son, Metal Gear Solid V: Ground Zeroes, Towerfall: Ascension, The LEGO Movie Videogame, and Fez. Update 3/10/2014: Two more games make it onto the list: Last year’s fine Rayman Legends and the satisfying remake of the NES classic Strider. One more and we’ll be at 12, after which we’ll have to start cutting games to make new additions. Update 2/14/2014: Our second update brings with it two games: The graphically enhanced Tomb Raider: Definitive Edition and the pee-your-pants-scary Outlast. Only three more additions before we hit our ceiling of 12 and have to start cutting games to make room for new ones. Update 1/27/2014: Our first addition to the PlayStation 4 Bests list is Klei’s excellent survival game Don’t Starve, which brings the total number up to seven. Note: While some games on this list are download-only, all of them can be purchased on the PlayStation 4’s online store. If you buy any of these games through the retail links in this post, our parent company may get a small share of the sale through the retailers’ affiliates program.